Lions and tigers and cheetahs, oh my! 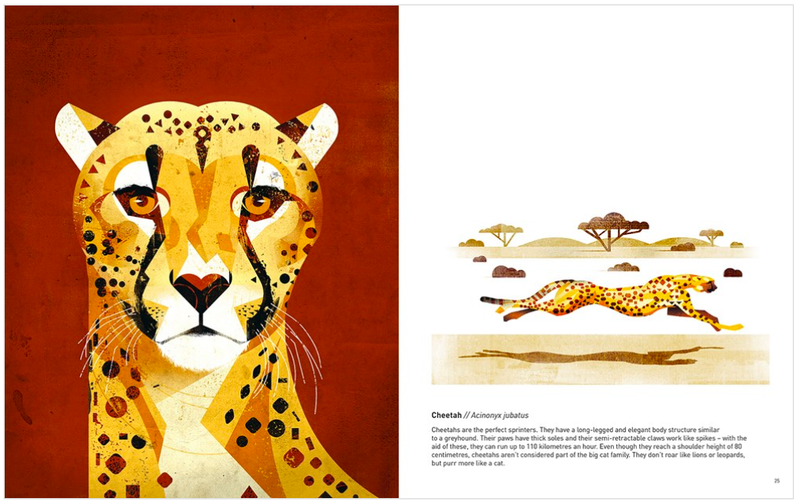 In this companion book to Wild Animals of the North, Dieter Braun's Wild Animals of the South offers a brief encyclopedia of animals from the southern hemisphere. Readers meet everything from giraffes and elephants in Africa to koalas and kangaroos in Australia, and even some Antarctic animals like the humpback whale and five different kinds of penguins. And cats! Have I mentioned the cats? Depending on the subject, Braun provides readers with varying amounts of information about each animal, and there's a categorized table of contents in the back divided up by territory. The digital illustrations are crisp, sharp, and rife with color. 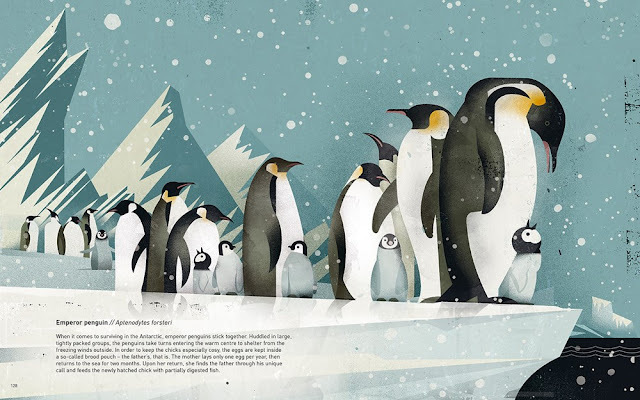 Braun uses geometric shapes and layers them screen-print style so that colors naturally blend together to create shadows and accents on each animal. Braun also has a keen sense of how to best utilize white space in his illustrations: sometimes Braun gives readers vignettes of animals mostly surrounded by the blank white of the page, and sometimes whole spreads are covered in inks to provide glimpses of the colorful environments these animals live in. 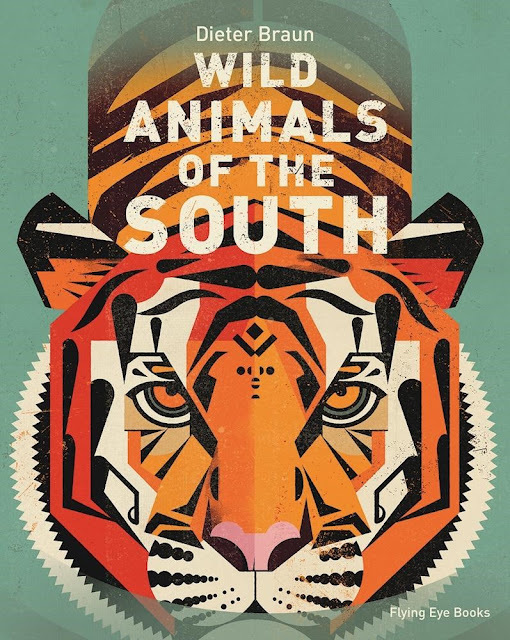 Wild Animals of the South published from Flying Eye Books earlier this year!